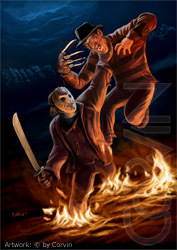 This painting is a free painting not based on any photos. 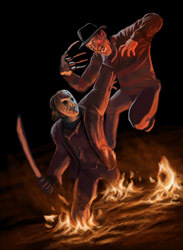 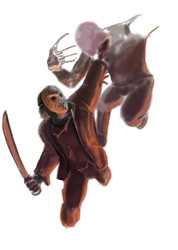 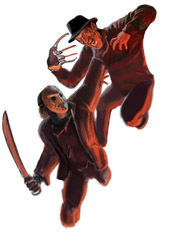 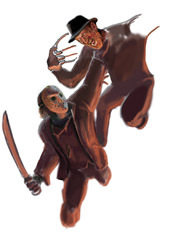 I want to show the fury of the fight of these two Horror Heros. 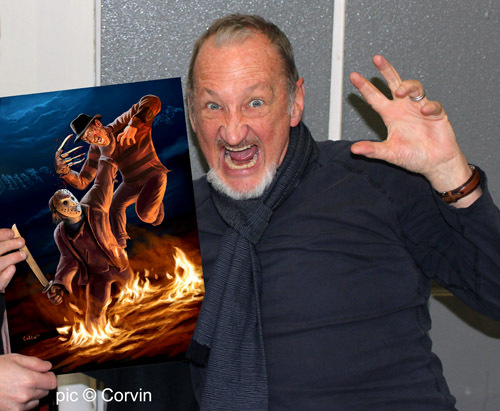 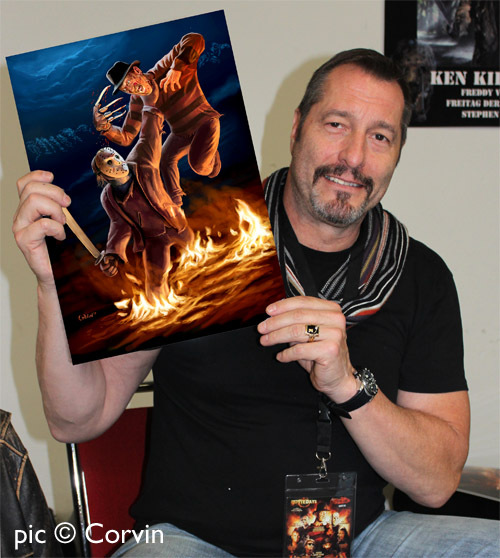 Robert Englund (Freddy Krueger) and Ken Kirzinger (Jason Vorhees) with my painting.